About – Grand River Rubber & Plastics Co.
Grand River Rubber & Plastics Company was established by the acquisition of the Ashtabula Division of Geneva Rubber in 1976. 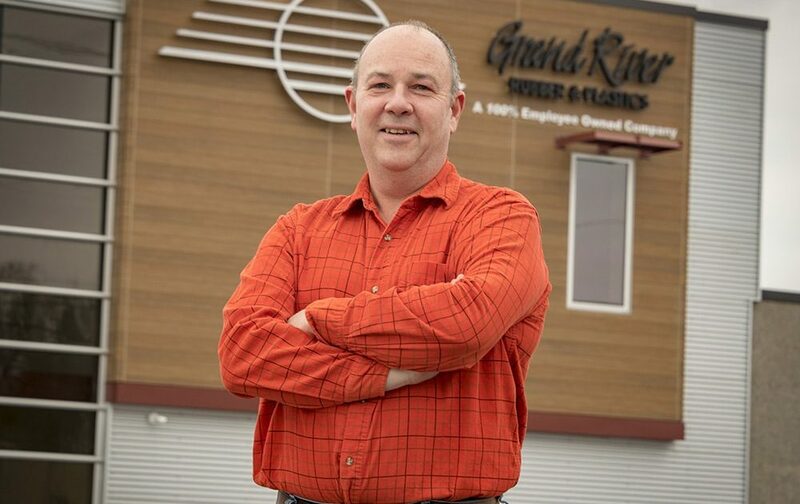 A 100% employee owned company, Grand River specializes in lathe cut gaskets, vacuum sweeper belts, and drum and pail gaskets. 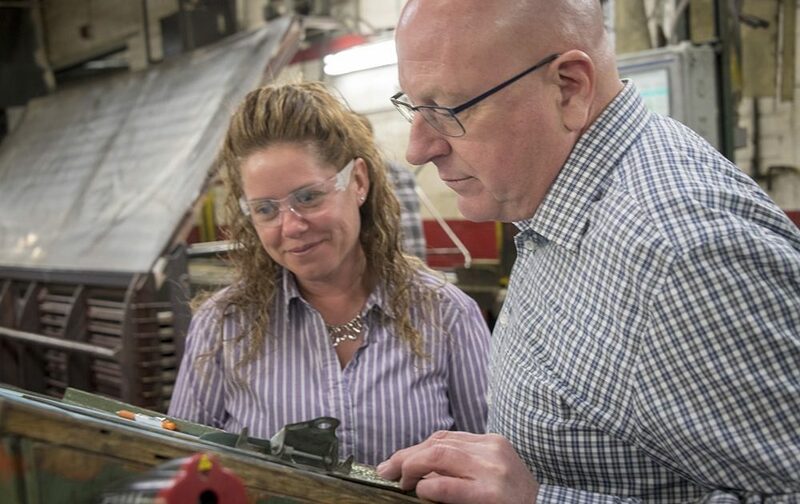 Grand River has operated in the rubber extrusion sector for more than three decades, establishing an enviable record for high-quality volume production at its facility, where two million items are manufactured daily. Grand River maintains the latest certifications and with state of the art training programs. The company is ISO 9001:2015 standard certified with a quality measurement that ensures products are fully traceable from raw materials to final inspection. Grand River is proud to be the only lathe cut gasket manufacturer recognized on the Interstate Milk Shippers (IMS) Certified Manufacturers List of Single Service products and have a dedicated white cell for food grade gasket production. Grand River is continuously looking for ways to cater to customers in niche markets, and provides NSF/ANSI 61 certified lathe cut gaskets for drinking water components. Grand River Rubber & Plastics is a major player in the vacuum sweeper belt market, producing roughly 135,000 sweeper belts per day. Grand River has state of the art equipment and an onsite test lab. Grand River has proven performance in both OEM and aftermarket applications and supplies manufacturers throughout the Americas, Europe, and Asia. Grand River is proud to service the Drum and Pail market. Our drum and pail gaskets are designed and manufactured to our customers’ specifications. Our proprietary technology has automated and streamlined our process, to produce high-quality gaskets. All drum and pail gaskets can be purchased directly from our exclusive distributor BASCO. 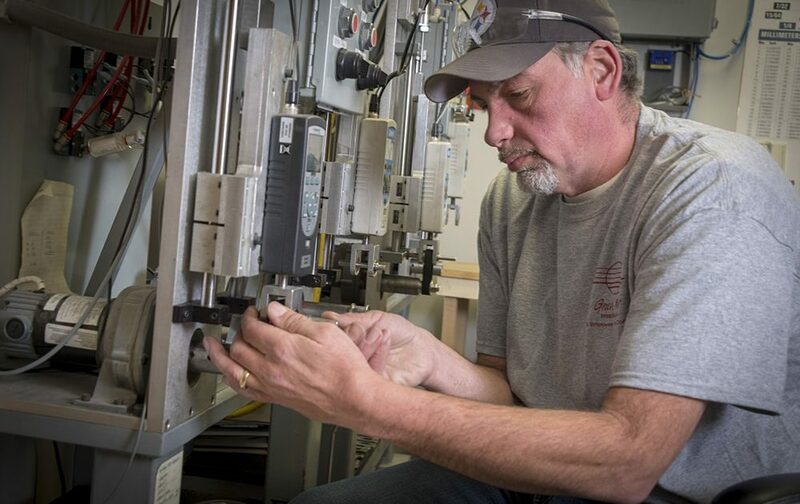 Whether it’s a one-time project or a repeat customer order, Grand River Rubber & Plastics strives to deliver unmatched quality products and great customer service experience every time.